A teenager was arrested Thursday in connection with a hit-and-run crash that critically injured a 3-year-old boy in Richmond one day prior, police said. 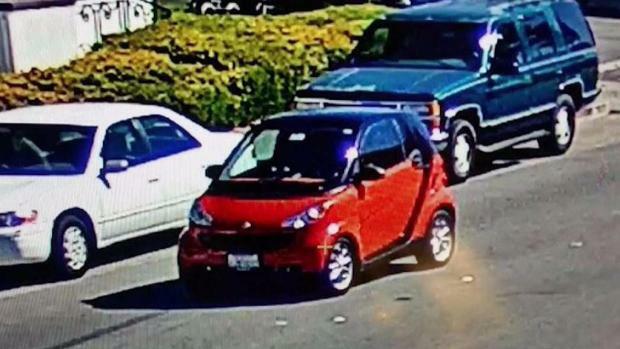 The 19-year-old suspect works as the receptionist at Friend's Auto Repair where the vehicle's owner had dropped off a red SMART car, investigators say. It's unclear why the woman was driving the car, but police believe she struck the toddler around 11:30 a.m. Wednesday in the 2700 block of Macdonald Avenue. "From what we understand, she's a receptionist for the auto shop and somehow she was able to obtain the keys and drove the customer's car," said Richmond police Lt. Felix Tan. Investigators say the suspect then returned the vehicle to its owner, who drove away, unaware that the vehicle had been involved in a crime. Police said the damage to the car was minor so the owner didn't notice it. A teenager was arrested Thursday in connection with a hit-and-run crash that critically injured a 3-year-old boy in Richmond one day prior. The 19-year-old suspect works as the receptionist at Friend's Auto Repair where the vehicle's owner had dropped off a red SMART car, investigators say. Jodi Hernandez reports. The woman was was pulled over by El Cerrito police around 7:30 a.m. Thursday on the westbound Interstate 80 on-ramp from Potrero Avenue, Tan said. "Right now, she's under arrest and booked for felony hit-and-run," he said. 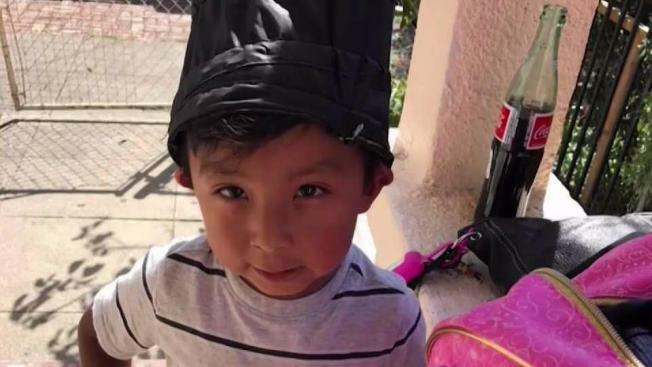 Officers learned that the toddler, Geronimo Perez, was with his mother and was about to get into their car parked along the curb. But he escaped his mother's grasp and darted into the street where the car struck him, according to Tan. "It wasn't responsible for the driver to take off like that," said Ivis Andrade. "We have to be responsible for what we do." Andrade ran out of her office to see the toddler lying on the street. That's a scene she says she will never forget. A 3-year-old child was in critical condition Wednesday after a hit-and-run in Richmond, police said. "I saw the mom how she was panicking and crying," Andrade said. "I don't think any mother should have to go through that." The boy was described as being critically injured Wednesday and Tan said Thursday morning that his condition is now "critical but stable." Geronimo's devastated father said he had surgery to reduce swelling in his brain and is now breathing with the help of a machine. "It's not fair," he said in Spanish. "He is just a baby." Anyone with information about the incident is asked to call police at (510) 233-1214.